Getting to and fro is just a breeze with easy accessibility via car and public transport. 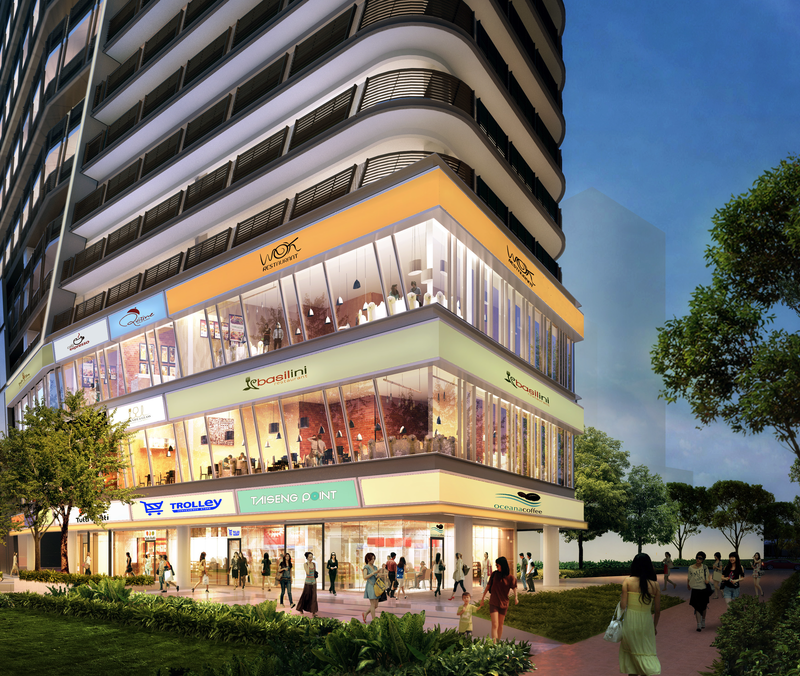 Tai Seng Point is just a doorstep away to Tai Seng MRT station with Macpherson and Bartley MRT stations nearby. 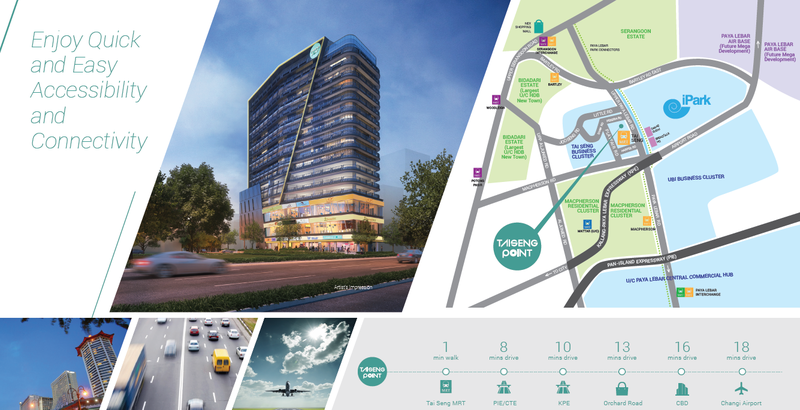 Major roads and expressways such as KPE, PIE, ECP and Nicoll Highway will help you travel around to the city and Changi Airport in the most convenient and fastest way. 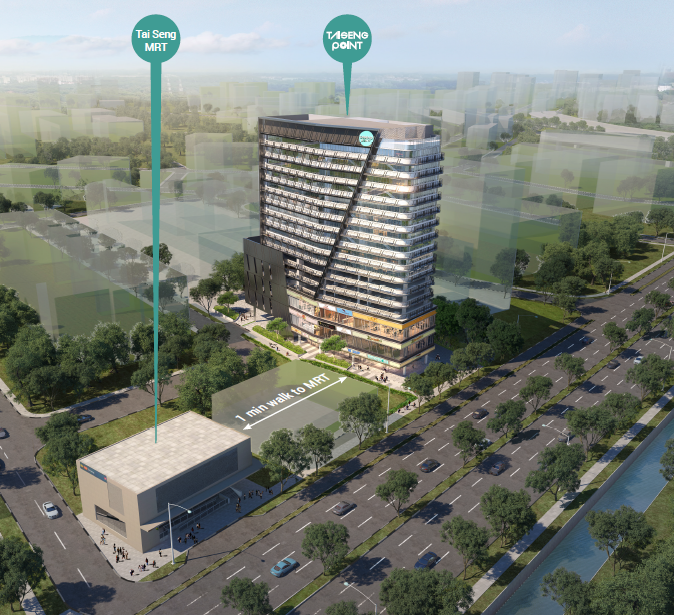 A strata-title industrial development with an integrated mix of retail, F&B, offices and production space components, Tai Seng Point was built to facilitate light industrial multi users and companies demanding flexibility to grow and expand their business. Synergise your business all in one location while enjoying easy accessibility to shops offering a diversity of retail, food and beverage concepts. Tai Seng Point has a functional edge over other buildings in the vicinity. This 11-storey building is one of the tallest in the vicinity and consists of 47 uniquely-designed units. 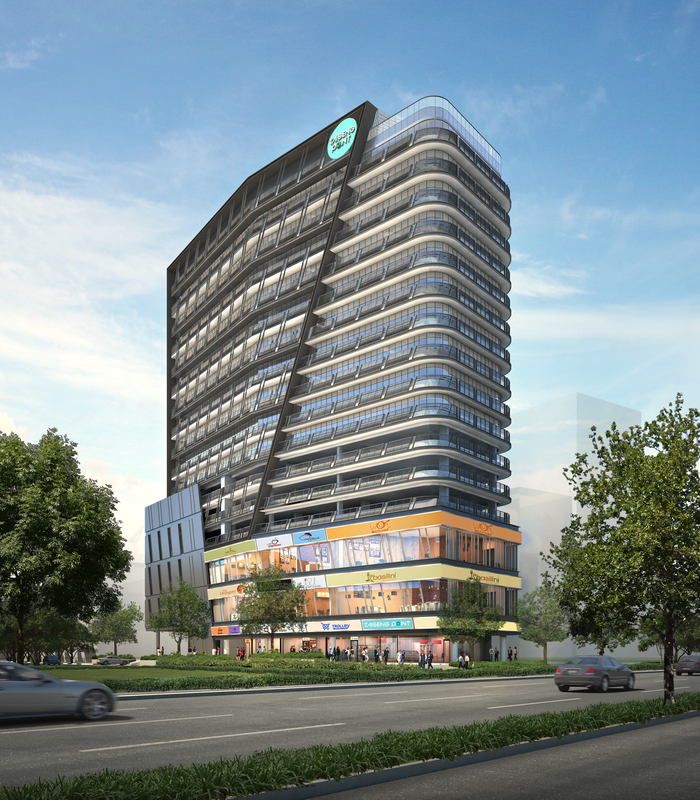 The spacious units and strong design element of this building makes it suitable for growing enterprises and businesses to expand their activities. For more information on Tai Seng Point, simply fill up your details below and our salesperson will get in touch with you shortly!